In any kind of conservation or restoration of historic objects it is important that any treatment should be as reversible as possible. So, glues that cannot be removed or soldered joints on metals are used very rarely. 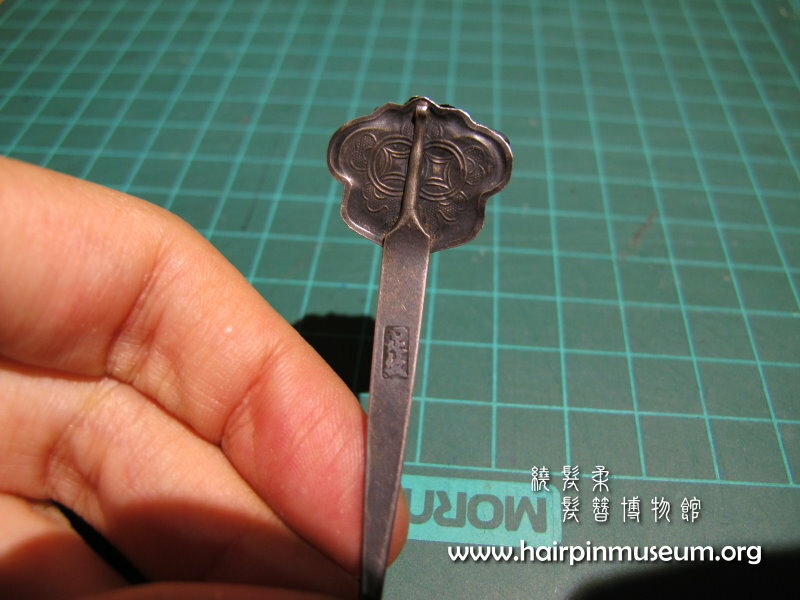 Below is a fine silver hairpin where the thin silver sheet has broken. 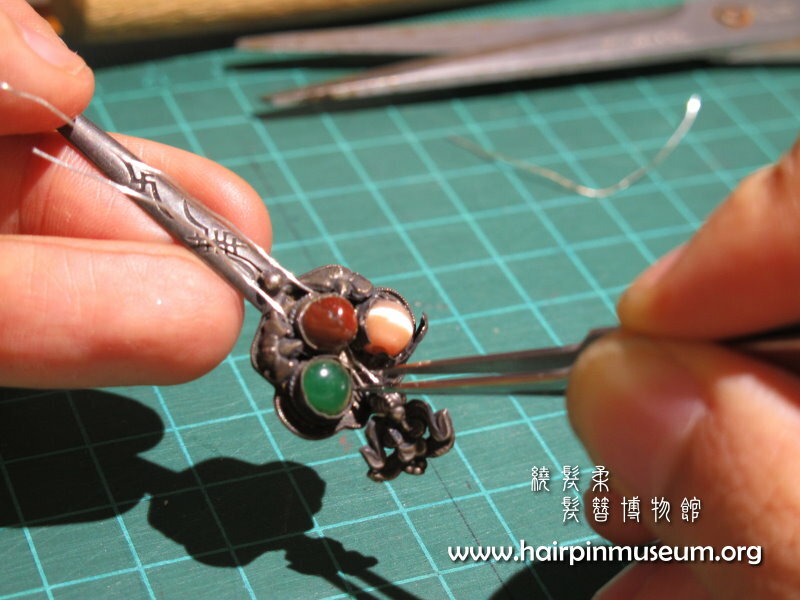 The silver is too thin to use an adhesive - which would not be strong enough to hold the broken piece in place. 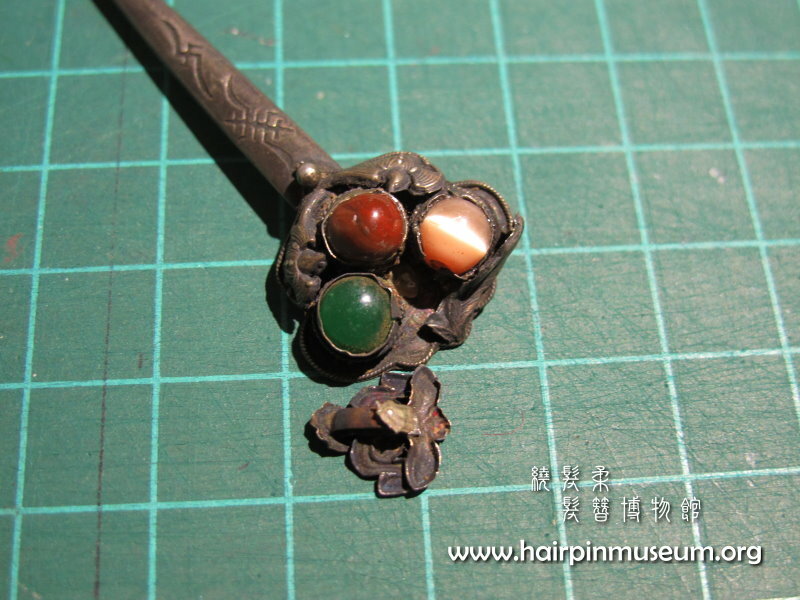 It cannot be soldered because of the stones set into the hairpin and because that would damage the historic surface. 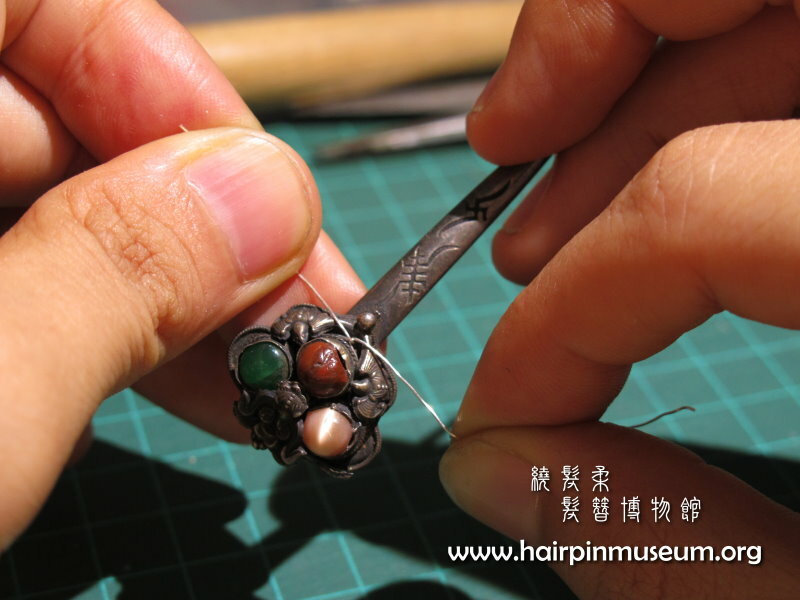 Instead, very pure (999) silver wire has been used to make a strong mechanical joint between the broken piece and the main hairpin. 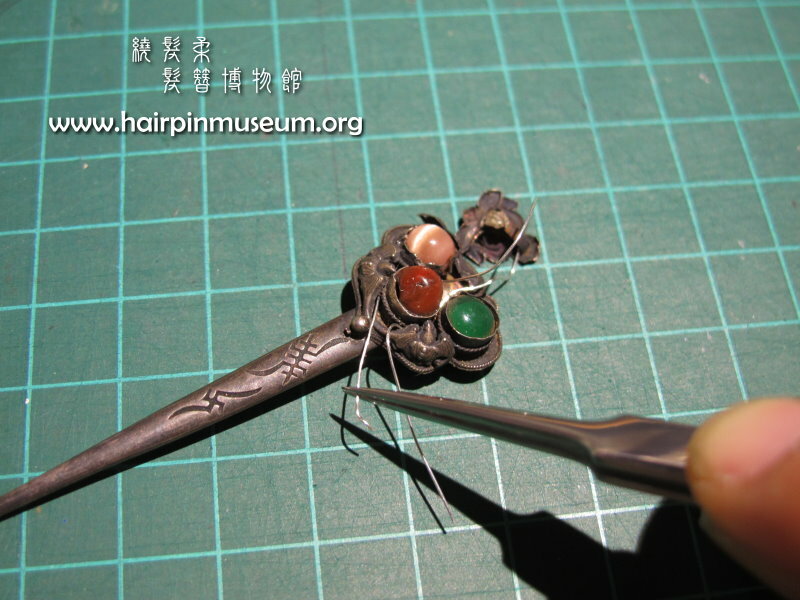 The wire is of course removable if there is any need to retreat the hairpin in future. 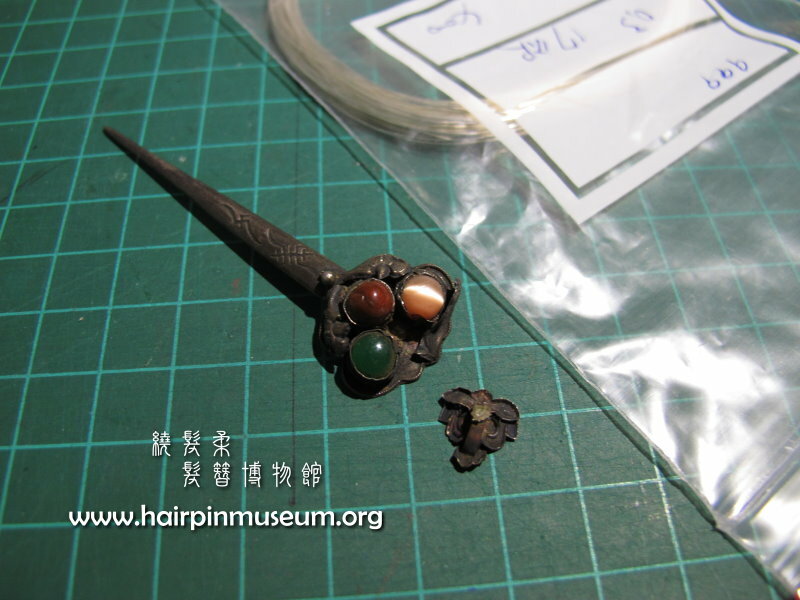 Two parts of the broken silver hairpin. The "head" is made from thin sheet. Any kind of adhesive would deteriorate over time, even if it was strong enough to hold the piece in place. Inside the bag is a spool of 999 silver wire, only 0.3 mm thick. A length of this was used to re-attach the broken piece using a very simple and safe technique. 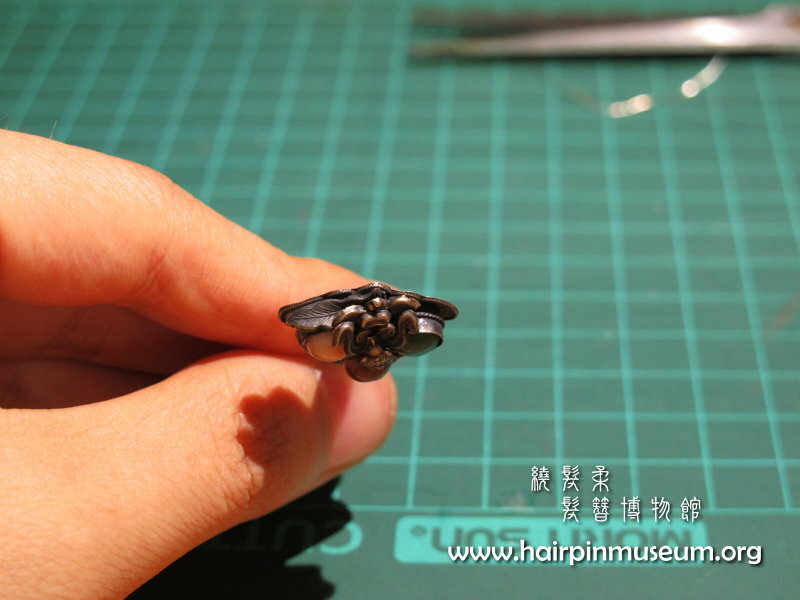 Using silver wire we can tie the broken piece in place just as though we were using string. 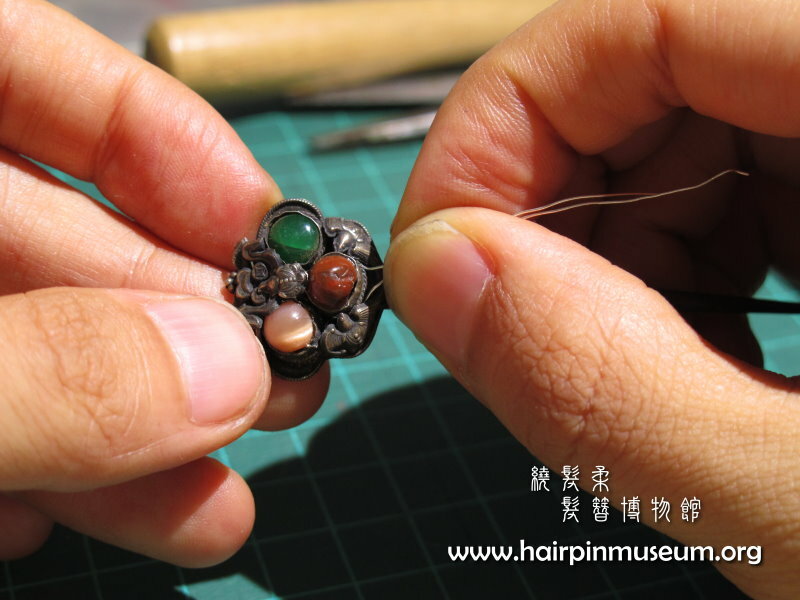 But the silver wire is much stronger and will last for centuries if necessary. 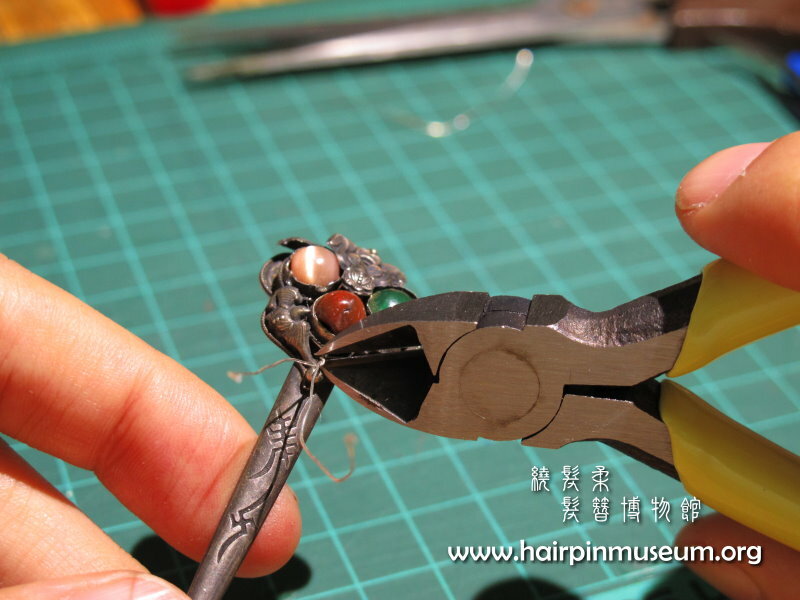 Small tweezers are used to carefully thread the silver wire through the gaps. Making sure the broken piece sits in the correct place. Pulling the wire tight and making sure the wire is neat and regularly spaced. Twisting the wire to secure it. Cutting off the extra wire. 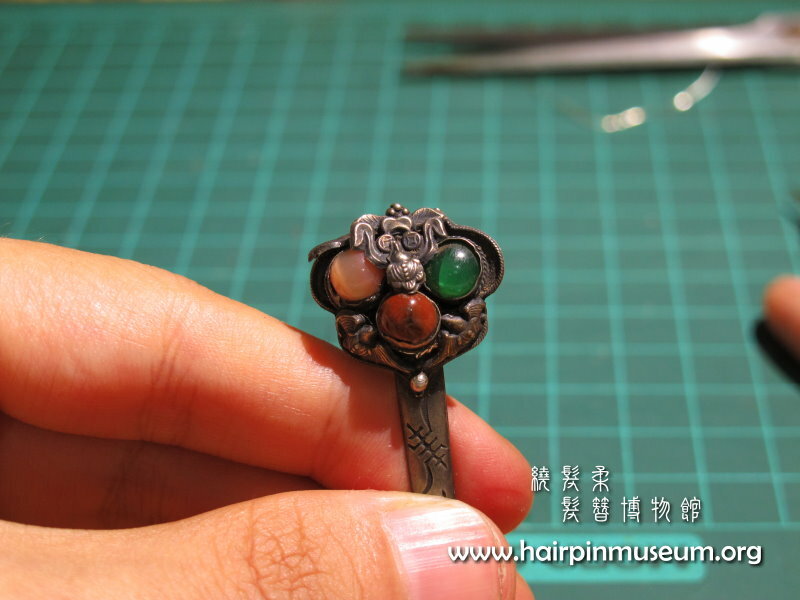 Care must be taken not to mark the surface of the hairpin. 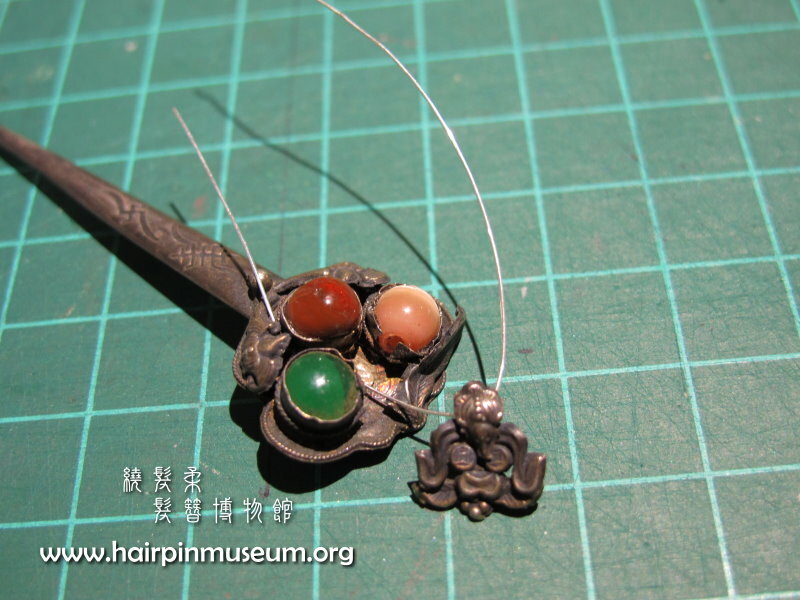 Hiding the silver wire underneath the mounts on the hairpin. 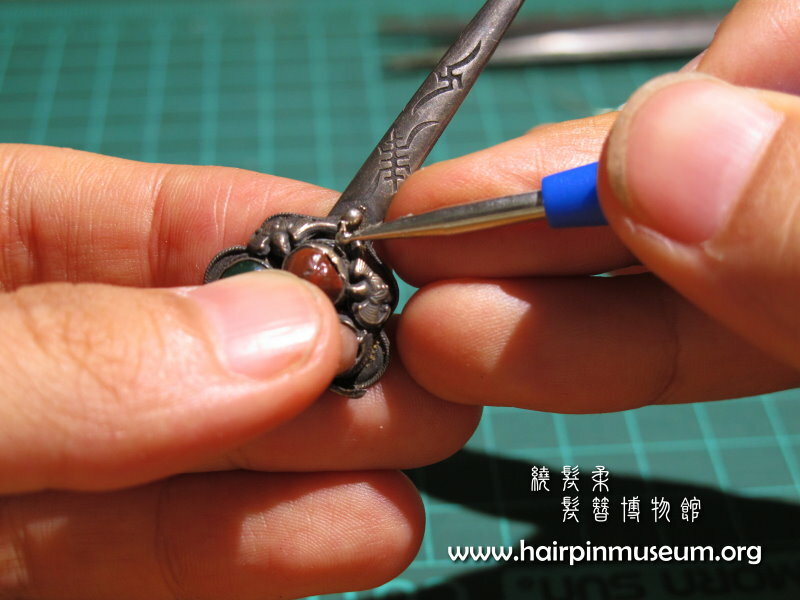 A special steel burnishing tool is used here. 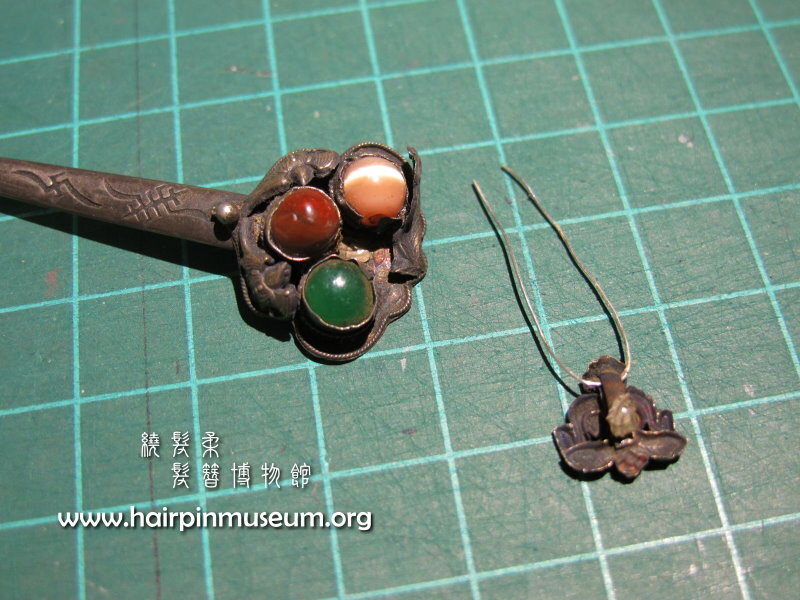 From the top, you cannot see any silver wire and the broken piece is held very tightly in place. How it look from the back. As good as new (or old)!